We had a good turnout for the summer kick-off last night. It was good to see several new highschool grads join us! We enjoyed burgers & fellowship and I shared a brief introduction to the summer study on parables. 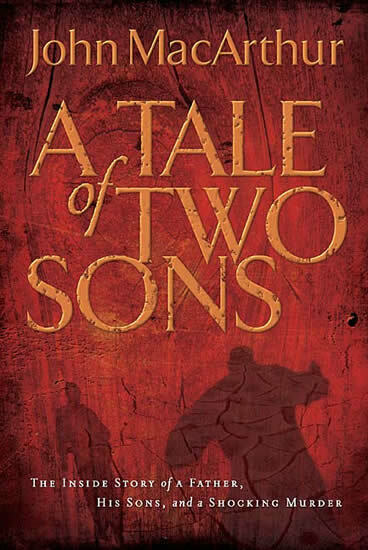 As a way to continue the parable theme, I gave away a copy of John MacArthur's book "A Tale of Two Sons," which is about one of the most well-known parables in our Bible - the prodigal son. Drew Savary was our winner! Of all Jesus’ parables, this one is the most richly detailed, powerfully dramatic, and intensely personal. It’s full of emotion—ranging from sadness, to triumph, to a sense of shock, and finally to an unsettling wish for more closure. The characters are familiar, so it’s easy for people to identify with the prodigal, to feel the father’s grief, and yet still (in some degree) sympathize with the elder brother—all at the same time. The story is memorable on many levels, not the least of which is the gritty imagery Jesus invokes. The description of the prodigal as so desperately hungry he was willing to eat husks scavenged from swine food, for instance, graphically depicts his youthful dissolution in a way that was unspeakably revolting to His Jewish audience. I'll be posting more links, quotes & articles related to the parables & other helpful topics all summer, so come back often. In fact, the best way to keep up with the blog is to subscribe by email. It's easy, spam free and you'll only get emails when the blog is updated. Click here to subscribe. We want to personally welcome you to the 2.22 blog. This blog is based out of our Twenty-Somethings' ministry (18-26) at BCLR with the purpose of connecting you to what we value most. We cherish Jesus and the Bible. We love sharing life and having fun together. We desire to get to know and serve people from a variety of cultures and backgrounds. Whether you know Jesus yet or not we want to meet you and frankly we want you to meet Him. I expect you’ll see what we value in and through what you read, view, or listen to here. So, enjoy. May our Lord refresh your soul today. "So flee youthful passions and pursue righteousness, faith, love, and peace, along with those who call on the Lord from a pure heart." 2.22 is the college & young adult ministry of The Bible Church of Little Rock (BCLR). Click on image for more 2.22 photos!